I thought this might interest anyone living or considering purchasing in the 95828 zip code of Sacramento. What do you see? What stands out to you about this trend graph? 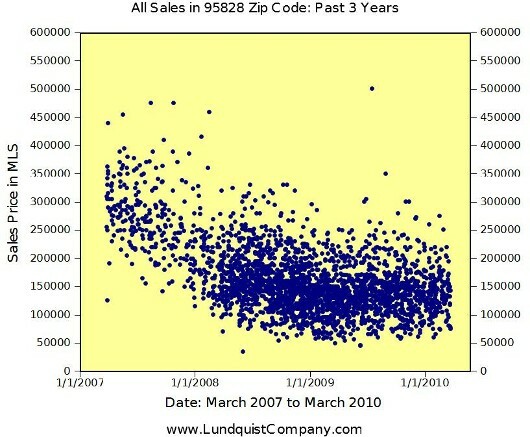 All sales are based on information provided in Sacramento MLS (single family detached sales only).